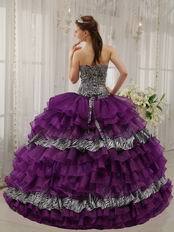 This quinceanera dress features a strapless bodice with a sweetheart neckline and luxury rhinestone. 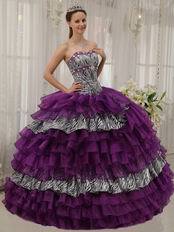 The animal-print bands adds wildness of the dress. And corset-style fit through the bodice. 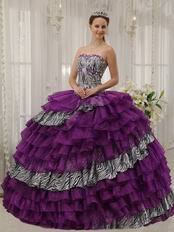 Below the waist, multiple tiers create volume and dimension. 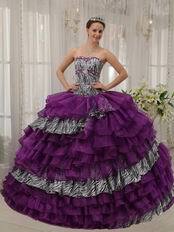 You can't help but feel positively radiant when you're wearing this captivating quinceanera strapless ball gown!